Look out for an exhaustive tour itinerary lasting for 11 days, introducing you to the most prominent destinations suiting for a perfect textile across India. 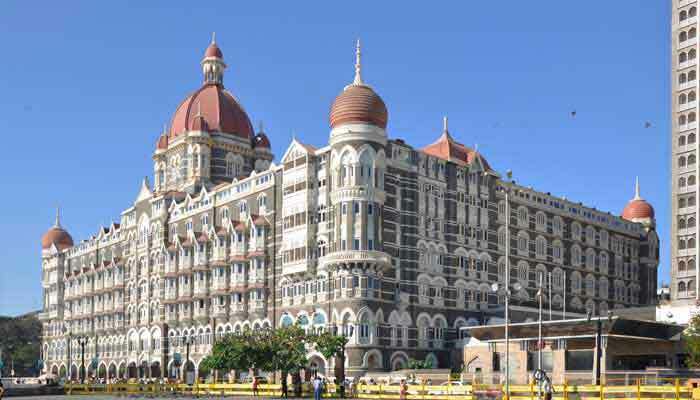 Commencing from Mumbai, the business capital of the country, you can have unique experiences in every textile city with the extraordinary collection of fabrics and accessories and even excellent museums where the artifacts dating back to the previous centuries are exhibited. You will be touring across the major cities of the country well known for the textile industry. Mumbai, Ahmedabad, Coimbatore, Kanchipuram are the most popular destinations where the textile industry is surviving for the past many decades. Look out for the rare combinations of colors, fine fabrics and take back the unique product specific to every city, telling you the tales for a lifetime. Our tour executive will meet you at the Airport and assist you to transfer you to the Hotel. After breakfast you shall do a half day city tour. 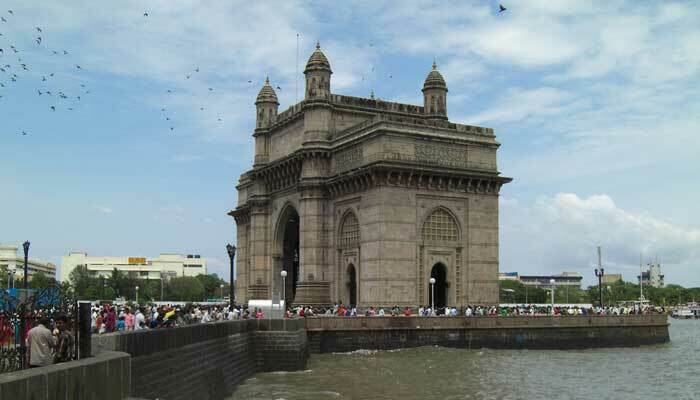 Visit the Gateway of India, Mumbai's principle landmark. Drive past the Afghan Church, Secretariat of Maharashtra Government and along the Marine Drive which is fondly known as the 'Queen's Necklace'. Visit Jain temple and Hanging Gardens which offer a splendid view of the city, Chowpatty, Kamala Nehru Park and also Mani Bhavan where Mahatma Gandhi stayed during his visits to Mumbai. Drive past Haji Ali Mosque, a shrine in honour of a Muslim Saint on an island 500 m. Out at sea and is linked by a causeway to the mainland. Stop at the 'Dhobi Ghat' where Mumbai's 'dirties' are scrubbed, bashed, dyed and hung out to dry. Continue to the colourful Crawford market and to the Flora fountain in the large bustling square, in the heart of the city. In the afternoon visit the Weavers Service Centre (WSC) at Mumbai, a unique organisation supported by the government, promoting and facilitating the continuous growth of the textile industry in India. It has separate sections for design, weaving, dyeing, printing and photographic records. Visitors can witness various processes in the different sections like block and screen printing, weaving by traditional weaving communities of the country and some really talented designers working on designs for both weaving and block printing. The photographic section has photographs depicting rare pieces of exceptional and traditional designs, costumes and fabric samples. Different techniques of production in weaving, dyeing and printing, including tie and dye method, are preserved in photographs. Overnight at hotel. After breakfast take a half day tour of the city. Start your tour with a visit to Jama Masjid - one of the most beautiful mosques in the country. Pass by the Shaking Minarets, Hathi Singh temple and Sidi Sayid's mosques. Later visit Sabarmati Ashram founded by Mahatma Gandhi. Also see the 'baolis'. Afternoon a visit to The Calico Museum of Textiles: This is one of India's finest specialized museums. 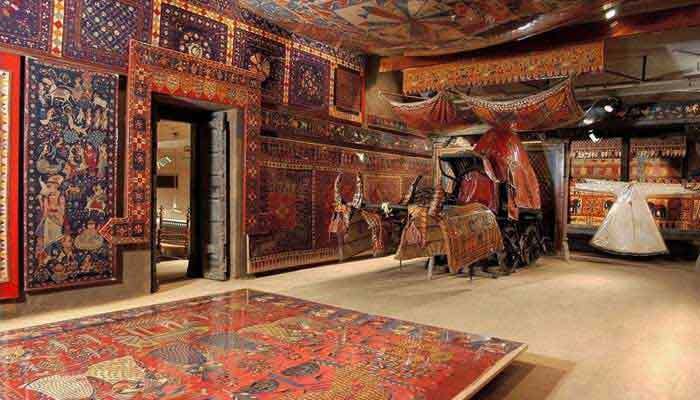 It presents a tasteful display of Indian textiles, in well-kept galleries. It was founded in 1949 and is the brainchild of Ms Gira Sarabhai who initiated the collection of rare, exquisite fabrics from different parts of India. The museum in its present, new setting creates a charming atmosphere, with courtyards, gardens, fountains, quiet passages and evocative settings created with the textiles themselves to show how they were used. The Museum houses no less than five centuries of the finest fabrics spun, woven, printed and painted in different parts of India. It also has a collection of Indian marble, sandstone and bronze icons and busts split in two thematic sections-gallery for religious textiles and historical textiles. Overnight at the hotel. Visit Patan to see the Patola weaving of double Ikat (by the Salvi family who is a national award winner and the only ones in India to do this work) and also visit a private house to see the Mashru weaving. PATAN PATOLA :- India has a rich and ancient heritage in fine textiles. (Double Ikat) Patola from the area of Patan in the North Gujarat region of western India glorifies this heritage with its unique gem like qualities, gorgeous colours, designs and durability. Its very appearance lures the connoisseur of fine textiles. It has no reverse side. Both the sides have equal intensity of color and design. 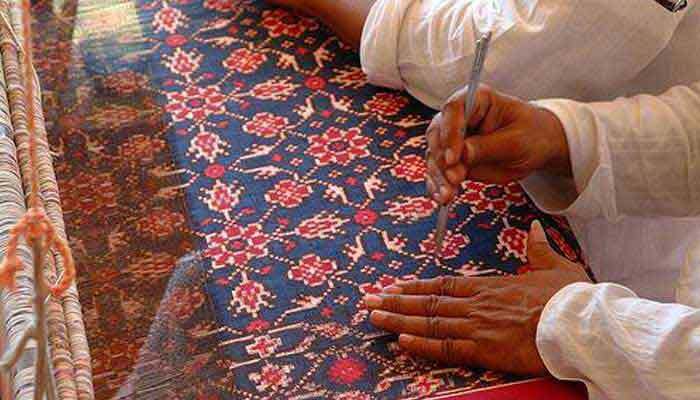 Historically, the art of Double Ikat Patola weaving dates back to centuries. Paintings in Ajanta caves resemble the tie-dye technique of Patola. Legend indicates that sometime in the 12th Century AD, King Kumarpal of Solanki dynasty invited 700 families of Patola weavers from Jalna (South Maharashtra) to settle down in Patan in North Gujarat. Salvi family is one of them who has continued this traditional art and has preserved it even today. Return to Ahmedabad for overnight at the hotel. After breakfast transfer to the airport to board flight to Bangalore. On arrival you will be met & assisted at the Bangalore airport and transfer to the hotel. 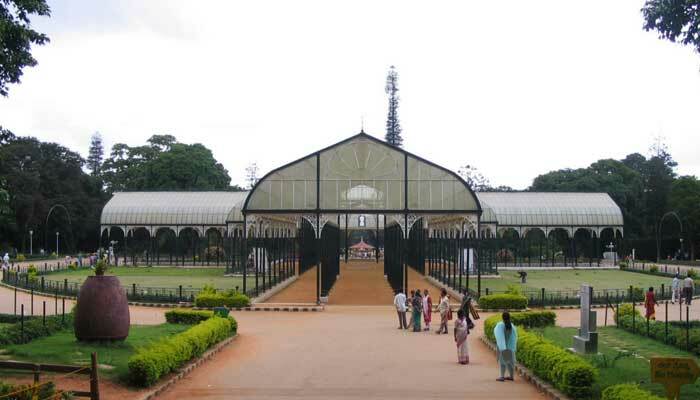 After lunch take a half day sightseeing tour of the "Garden City" visiting the Lal Bagh laid out by Tipu Sultan and his father in the 18th century which has a variety of old trees, fountains, lotus pools, terraces and an assortment of tropical and sub - tropical herbs. Also visit the Bull Temple and drive past the Government Secretariat, Vidhan Soudha (Legislature building) and Cubbon Park. Overnight at hotel. After breakfast depart to Anekal to visit Handloom Factories. 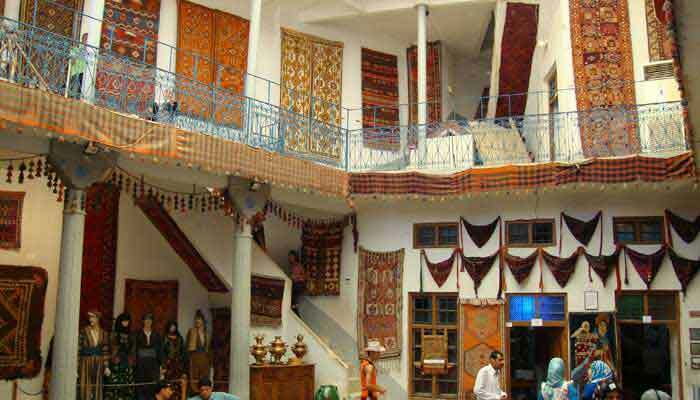 Also visit the silk market where the Silk Threads & Finished products are traded. Return to Bangalore for overnight at the hotel. After early breakfast transfer to the airport to board flight to Coimbatore. You will be met at the airport & transferred to the Hotel. Coimbatore, popularly known as Manchester of South India, is situated in the western part of the state of Tamil Nadu. Situated at the foot hills of Nilgiris, it is known for its pleasant climate, peaceful atmosphere, cosmopolitan outlook and private enterprise. 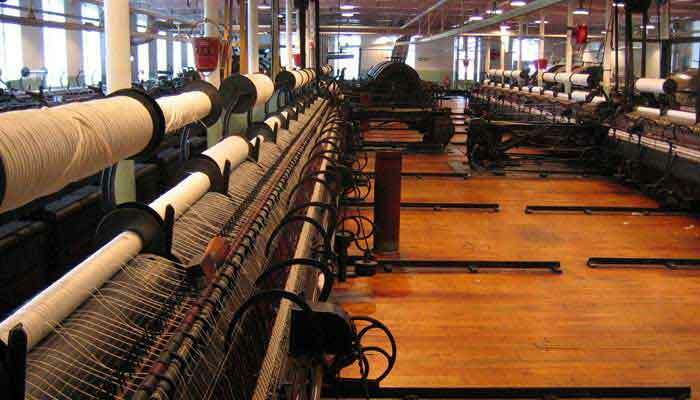 It is home to a large number textile mills, textile machinery manufacturers, hosiery units and engineering industries. Home textiles are another sector where Indian manufacturers are emerging as dominant players especially in the US and the European markets. 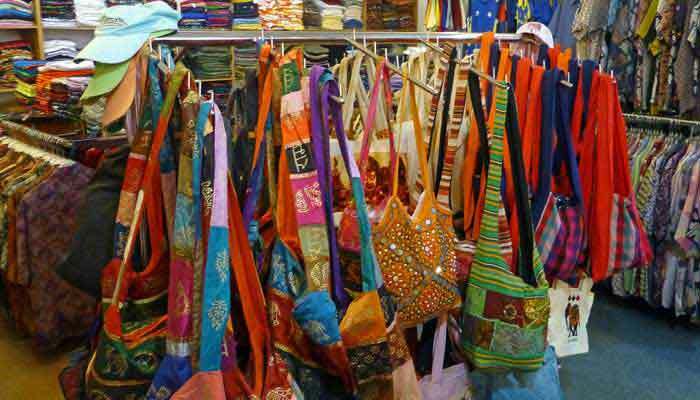 The made-ups (stitched articles of textiles like bed linen, etc) are considered value added items of which India is the third largest exporter in the world. Afternoon visit Laxmi Textile Mill, 686, Avanashi Road to see the spinning & ginning work in the mill. Lakshmi Mills was established in the year 1910 by the visionary and pioneer late G. Kuppuswamy Naidu. The Company manufactures 100% combed cotton yarn, Polyester Cotton Blended yarn as well as Open End yarn of 10s. Besides, the Company also manufactures 100% Micro Modal yarn, Micro Modal/ Cotton Blended yarn, 100% Micro Tencel yarn, Tencel/ Cotton Blended yarn in counts NE 40s to 100s. The range includes Single and Doubled yarns for knitting and weaving. Overnight at the hotel. After breakfast transfer to the airport to board flight to Chennai. On arrival transfer to the hotel. Madras (the former name of Chennai) cotton is also known as the madras check or bleeding madras — as that colorfully loud textile, which improbably combines a rainbow of small striped or plaid squares. Madras checks have infused many recent catwalk collections with welcome bursts of color and texture. Spring and summer collections by American designers Tommy Hilfiger and Ralph Lauren have almost always employed the madras check in shirts and chino-cut pants. The last few seasons, however, have seen more daring uses of the exotic textile. In the afternoon go for a half day city sightseeing tour visiting the Government Museum and Art Gallery, to see the art and bronze gallery (closed on Fridays and public holidays) and also visit the famous 16th century Kapaleeshwarar temple dedicated to Lord Shiva. Non-Hindus are only allowed up to the outer courtyard. Later drive past Fort St. George, Marina Beach and San Thome Cathedral. Also visit Sri Chandan Textiles located at #69, Savari Muthu Street, Mannady. Established in 1985, Sri Chandan Textiles has become one of the leading market players in the field of manufacturing and exporting of 100% Cotton Yarn, Dyed Yarn, Woven Yarn, Woven Fabrics, Lungies, Towels and Made-ups. The mill has state of the art infrastructure. The manufacturing plant consists of spinning units, weaving units, finishing plant and dyeing plant. Overnight at the hotel. After breakfast drive to Kanchipuram which is one of Hinduism's seven most sacred cities. This "Golden city of a Thousand Temples" dates back to the early Cholas in the 7th century A.D. Only around 70 temples of the original 1000 old temple complex are still intact and the most famous of them is the Kailasanatha Temple built with sandstone in the early seventh century A.D. Kanchipuram is famous for its silk weaving and a visit to the nearby villages to see the craftsmen at work on their looms is rewarding experience. 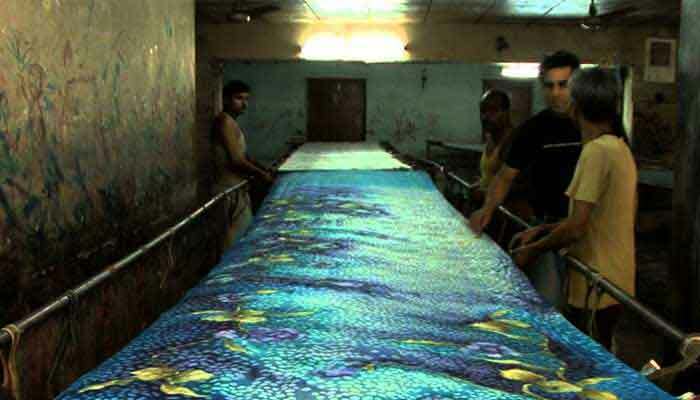 Later visit the silk weaving centers of M/s. Srinivasa Silks, No: 17A, TK Nambi Street, Kanchipuram,, manufacturer of handloom & machine silk sarees) to experience the art of making handloom & machine made sarees including dying and designing. Kanchipuram, known for Silk which is a handloom industry, is one of the main occupations for the locals. 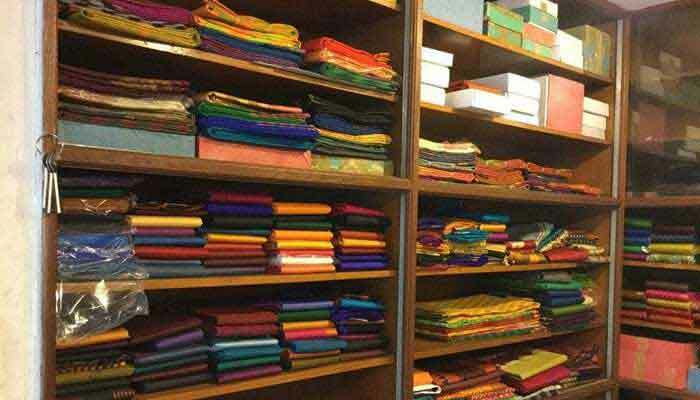 Raw Silk is procured from neighboring states such as Karnataka and Gold Zari from Gujarat are purchased and the finished products i.e, sarees are manufactured in Kanchipuram. Kanchipuramsilk sarees are woven in two parts. The pallu-and-border are woven as one unit and attached to the body of the sari which is woven separately. The motifs used are derived from traditional temple architectural forms. Overnight at the hotel. 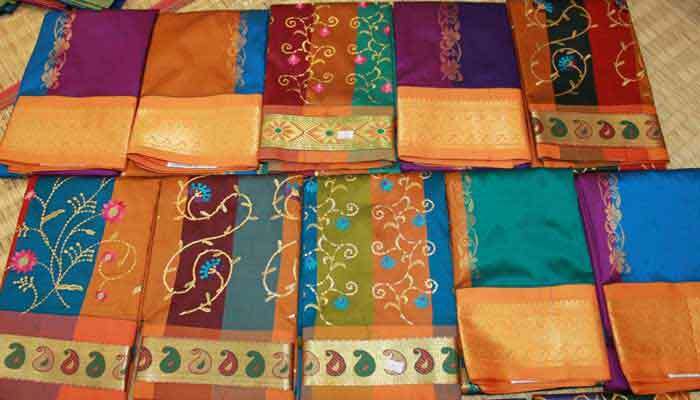 Kanchi Cottons is also popular in this region which is woven in the suburbs. Morning visit the weaving centre, GSM Industries, TK Nambi Street, Kanchipuram who manufacture silks & cotton. Based on the flight schedule you will be transferred to Chennai Airport to board the flight to Mumbai. On arrival you will be met & assisted by our Tour Executive at the Mumbai airport and you will be transferred to the international departure terminal to board the onward flight.